On the road at Regis, the Lady Macks (16-4, 10-3 Western Cloverbelt Conference) gave up the first seven points of the game, but then ripped off 12 straight and never surrendered the lead again, knocking off the conference front-runner and making school history with their first ever season sweep of the Rambers (12-7, 11-2 WCC). Senior forward Abby Opsal vacuumed in double-digit rebounds and scored a game-high 22 points, while freshman guard Maggie Craker provided an offensive spark with 11 in the first half. 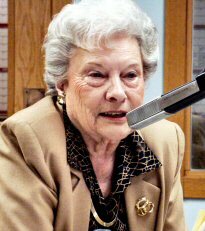 Mabel Louise, live on the air Tuesday at 11:15 am. Winger Jack Skille has played 10 seasons in the National Hockey League. Now the former Wisconsin Badger is skating in the Kontinental Hockey League, The Russian pro hockey league. Jack stopped by the WWIB Communications Center recently to talk about playing professionally with the Minsk Dynamo team and the spiritual journey God has had him on the last year. Part 3 of a series. The Macks (10-7, 8-3 Western Cloverbelt Conference) found themselves down double digits at the half but fought their way back before a few late miscues doomed them against the physical Thunder (14-3, 10-1 WCC), who won their ninth straight. Senior Hayden Baughman ran into foul trouble in the first half but carried the offense in the second and finished with 21 points. Junior guard Cory Hoglund fought off an ankle injury to tally 16.